The UK is vulnerable to Chinese influence and interference, according to a defence and security think tank. 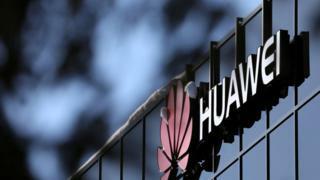 A report from the Royal United Services Institute (Rusi) said it would be "naive" and "irresponsible" to allow Chinese tech giant Huawei to access the UK's telecommunications system. The UK is currently reviewing whether to allow the company to build new 5G phone networks. A spokesperson for the Chinese embassy said the claims were "scaremongering". The report, written by Charles Parton, a former British diplomat who spent most of his 30 year career working on China, said that if Huawei was allowed to participate in the rollout of the new 5G mobile networks it could install a "hidden backdoor", giving the Chinese government access to the system. It also warned of the risk of interference in other areas including academia, politics and technology. While there has been "widespread debate" about Chinese interference in countries such as the US and Australia, Mr Parton told the BBC that the UK's response had been characterised by "silence". "We need it out in the open," he said. The report describes how the Chinese Communist Party has tried to place its people as advisers to Western politicians. It also highlights what it calls "elite capture" - the appointment of former politicians, civil servants and businessmen to lucrative jobs after they leave office in which they promote Chinese interests. Mr Parton admitted that distinguishing between legitimate and illegitimate interference was a challenge. "It's a spectrum," he said. While Russia seeks simply to disrupt, China, he said, primarily seeks to maintain the legitimacy of Communist Party rule in the country and limit dissent against it, as well as build support for its policies overseas. "In many fields of interference what lies behind it is Chinese funding and that creates dependencies and either the overt threat or perhaps even just the fear that funding would be jeopardised," Mr Parton said. He argued this can lead to self-censorship, for instance in academia. Prof Steve Tsang, director of the Soas China Institute at the University of London, told the BBC he was aware of cases of Chinese pressure on other UK universities. "In one Russell Group University a pro-vice chancellor was spoken to by someone in the Chinese embassy and as a result he stood a speaker who was already invited down," Prof Tsang said. "I am also aware of a vice-chancellor again under pressure from the Chinese embassy asking one of his senior academics not to make political comments on China at a specified period of time." Prof Tsang said it was hard to know how widespread the problem is since academics are cautious about speaking out. Mr Parton argued there needs to be more transparency about Chinese influence and especially funding when it comes to universities, think tanks and public life. A spokeswoman for the Chinese embassy told the BBC the report's claims of interference were "groundless". She said that in recent years, the China-UK "Golden Era" had yielded fruitful results including more Chinese investment in the UK in the past five years than the previous 30. "Staying open and inclusive is key to maintaining UK's global influence," the spokeswoman said. "China is willing to work with an open UK to deliver more benefits to the peoples of both countries and of the whole world." There has been a shift in recent years in the UK's posture towards China, according to former national security officials. Under the then-Prime Minister David Cameron - who now works part-time for a China investment fund - and his Chancellor George Osborne, economics tended to trump security and values, whereas under Theresa May, the balance has shifted back towards security. China itself is also evolving under President Xi Jinping, with the potential for greater divergence over values. And under Donald Trump, the US-China dispute has raised the temperature, with Washington also putting pressure on allies over the role Huawei in their infrastructure. The imminent approach of Brexit potentially complicates the issue since it could lead to the UK looking towards China more for trade and investment. But Mr Parton argued there was no reason relations cannot still be strong if they are based on clarity of the boundaries of what constitutes unacceptable interference. "We need to be mature about our relationship," Mr Parton said. "In this whole Chinese Communist Party interference debate let's not lose sight of the fact that it is very much in our interest to build up good relations with China - just realistic ones."